Welcome to the Gao lab! 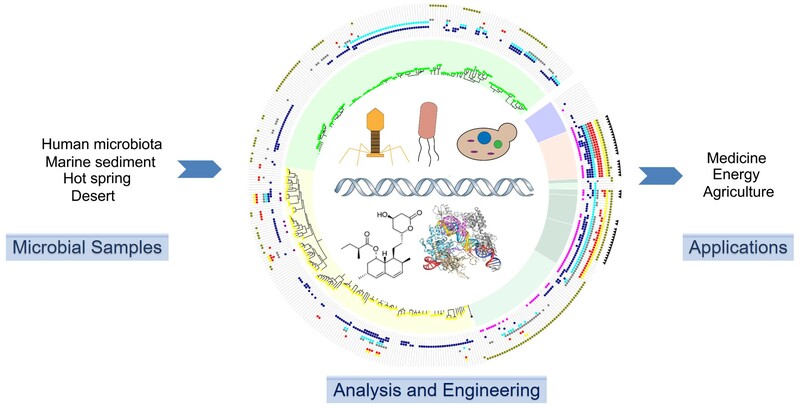 Our research lies at the interface of chemical biology and biomolecular engineering with a primary focus on small- and macro-molecule discovery and their applications to human health, agriculture, and energy. Hu J.H., Miller S.M., Geurts M.H., Tang W., Chen L., Sun N., Zeina C.M., Gao, X., Rees H.A., Lin Z., Liu D.R., “Evolved Cas9 variants with broad PAM compatibility and high DNA specificity.” Nature, 2018, doi: 10.1038/nature26155. Gao, X., Tao Y., Lamas, V., Chen, Z. Y., Liu, D. R., et al, “Treatment of autosomal dominant hearing loss by in vivo delivery of genome editing agents.” Nature, 2018, 553, 217-221, doi:10.1038/nature25164. Jiménez-Osés, G., Osuna S., Gao, X., Tang, Y., Houk, K. N. et al, “The Role of Distant Mutations and Allosteric Regulation on LovD Active Site Dynamics.” Nat. Chem. Biol., 2014, (6):431-6. Gao, X., Jiang, W, Houk K.N., Yi Tang, Walsh C.T. et al, “An Iterative, Bimodular Nonribosomal Peptide Synthetase that Converts Anthranilate and Tryptophan into Tetracyclic Asperlicins.” Chem. Biol., 2013, 20, 870-878. Gao, X., Haynes, S. W., Ames, B. D., Walsh, C. T., Tang, Y et al. “Cyclization of fungal nonribosomal peptides by a terminal condensation-Like domain.” Nat. Chem. Biol., 2012, 8, 823-830. Gao, X., Wang, P., Tang, Y. 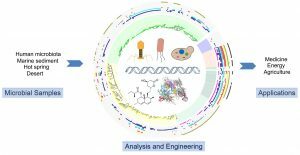 “Engineered polyketides biosynthesis and biocatalysis in Escherichia coli.” Appl. Microbiol. Biotechnol., 2010, 88, 1233-1242. Mar. 30th, 2019- Sherry was invited to give a talk at the 3rd Genome Editing Conference in Beijing and it was very inspiring! Mar. 26th, 2019- Prof. Wenjun Zhang visited us and gave a fantastic seminar! Mar. 25th, 2019- Dr. Fanglong Zhao joined the group as a postdoc researcher! The group welcomed him and had a great Dimsum! Jan. 31st, 2019- Prof. Chaitan Khosla visited us and gave the Wilber Lecture for Chemical and Biomolecular Engineers! Jan. 6th-9th, 2019- Sherry and Biki attended the ICBE conference at NewPort Beach, California. Very inspired by all the great talks and communications! Particularly by the Nobel laureate Frances Arnold! Dec. 7th, 2018- Our collaborative proposal with Prof. Kolomeisky (Chemistry), and Phillips (Biosciences) enables us to win the 2018 Creative Ventures Fund – InterDisciplinary Excellence Award (IDEA)! Thanks! Dec. 2nd-5th, 2018- Dr. Gao was invited to great a talk in the INFRAFRONTIER IMPC Stakeholder Meeting in Munich, Germany! Thanks for inviting! Nov. 21st, 2018- Group dinner @Wanna Bao. Happy Thanksgiving! Nov. 19th, 2018- Graduate Student Sin from Rice BioEngineering joined the group! Welcome! Nov.08th, 2018- Prof. Huimin Zhao from UIUC visited us at Rice University! We are very inspired by his talk of putting synthesis into biology using synthetic biology tools! Oct.26th, 2018- Our collaborative proposal with Prof. Han Xiao (Chemistry) enables us to win the 2018 IBB Hamill Innovation Award! See Rice News. Sep. 24th, 2018- Visiting Students Shuqi Guo (Shanghai Jiaotong University) and Huiping Sun (Northwest University, China) joined the group for research! Welcome! Jun.4th, 2018- Our collaborative proposal with Prof. Han Xiao (Chemistry) enables us to win the 2018 IBB Hamill Innovation Award! Jun.1st, 2018- Graduate Student Biki from Rice SSPB program joined the lab! Welcome! Apr.27th, 2018- Gao lab renovation has been mostly done! The FIRST microbe has been cultured! Apr.5th, 2018- Gao lab has been awarded the FIRST grant from the Welch Foundation! Congratulations! Mar. 1st, 2018- Graduate Student Yu from Bioscience department joined the lab! Welcome! Feb. 28th, 2018- Our paper on “Broader PAM Cas9” was published on Nature! Dec. 20th, 2017- Our Paper is online in Nature with many News and Views! 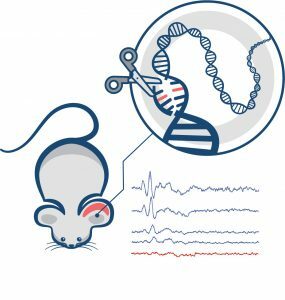 Nov. 24th, 2017 – Our paper on “Treatment of autosomal dominant hearing loss by in vivo delivery of genome editing agents” is finally accepted by Nature! Nov.1st, 2017 – Our lab renovation is partially done!